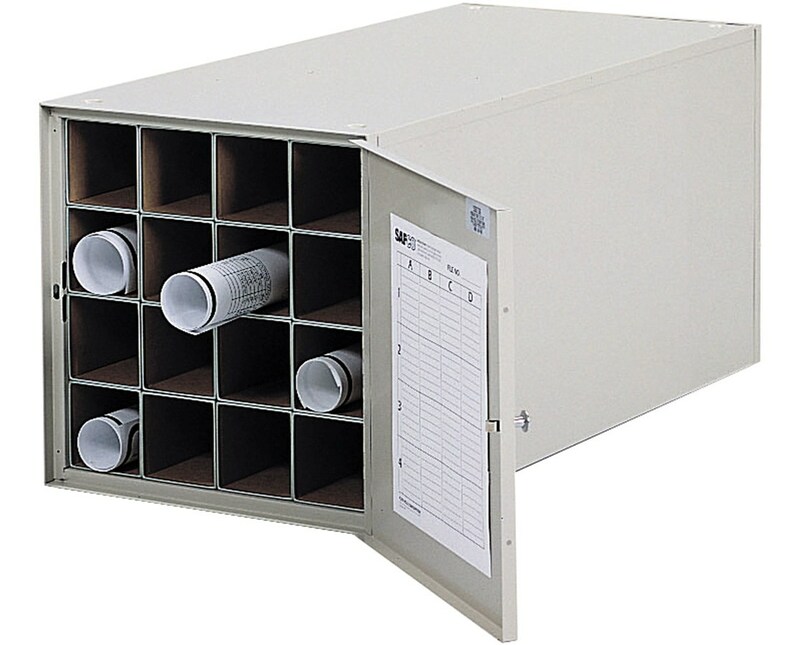 The Safco 38-Inch Deep Steel Roll File is a tidy and space-saving solution to any blueprint storage problems. It is perfect for safely keeping maps, blueprints, drawings and other large files and can fit rolls up to 37 inches long and 2.24 or 3.24 inches diameter. Each unit has square fiberboard tubes that are case-hardened with aluminum molding. 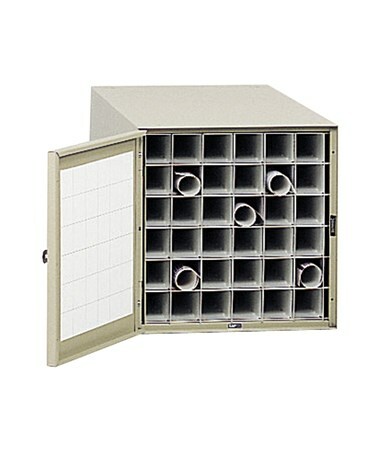 The door is dust-resistant and reversible and includes label grids. 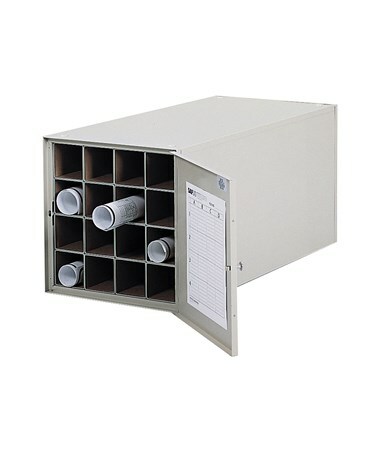 This roll file is made of 20-gauge anti-rocking heavy steel construction with a powder coat finish. It is easy to assemble and can be stacked up to four units high. GREENGUARD and BIFMA rating certified that this storage unit is safe for indoor use and does not emit harmful chemicals. 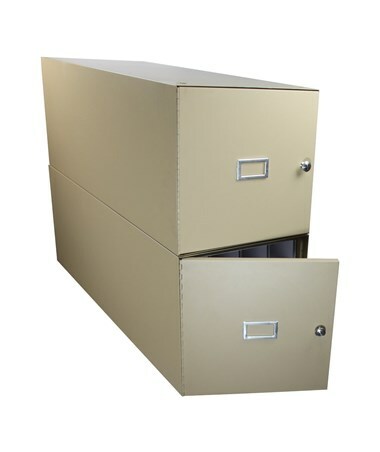 The Safco 38-Inch Deep Steel Roll File is available in two different number of tube slots. Please select your preference from the drop-down menu above.